Showing 40 of 20440 results that match your query. 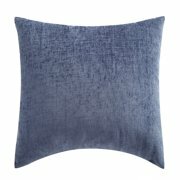 Product - Mainstays Foil Medallion Decorative Throw Pillow, Blue, 18" x 18"
Mainstays Foil Medallion Decorative Throw Pillow, Blue, 18" x 18"
Product - MoDRN Glam Blue Art Deco Decorative Throw Pillow, 20" x 20"
MoDRN Glam Blue Art Deco Decorative Throw Pillow, 20" x 20"
Product - Pillow Perfect Blue and White Damask Throw Pillow - 18 in. Pillow Perfect Blue and White Damask Throw Pillow - 18 in. Product - Pillow Perfect Beige and Blue Tropical Throw Pillow - 18 in. Pillow Perfect Beige and Blue Tropical Throw Pillow - 18 in. Product - Decorative Blue Hampton Nautical with Anchor Throw Pillow 16"